The use of polyester bags in Australia is becoming more popular due to the widespread ban on plastic bags. Here are some reasons why these bags are great for everyone. Since July 1 2018, Western Australia and Queensland have enacted a total state-wide ban on single-use shopping bags, as they’re bad for the environment. South Australia, Tasmania, the ACT, and the Northern Territory have all enacted a similar ban already. This means that shoppers need to switch to a more environmentally friendly type of shopping bag. Companies also now have another opportunity to advertise their brand, as the alternative shopping bag is more likely to be used multiple times. 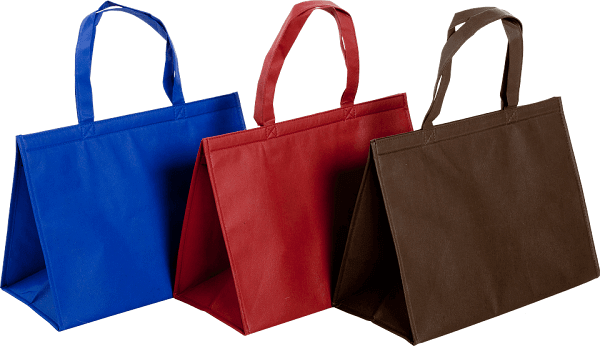 A polyester bag is extremely durable and resistant to abrasion. This means it can last for a long while even after repeated use. That’s also great for a commercial company using polyester bags as promotional products, as their logo and brand name can be seen in public for a long time to come. Water won’t cause any damage to the material and it dries quickly. This means people can use it even when it rains. The bag will protect the items inside from water damage. The colours on the bag won’t be damaged either, so brand names and logos should still be clearly seen afterwards. The polyester bag holds its colours well without fading. The promotional logo, brand name, and company slogan will all be legible for a long while even if you shop all day outdoors with it. It doesn’t stretch or shrink. It doesn’t matter if you fill the bag with weirdly shaped items or you leave it in the sun. Polyester fabrics can in fact be exposed to sunlight for 12 straight months and it will still retain 67% of its strength. It’s resistant to mildew and mould. There won’t be nasty mouldy surprises if you leave this in the closet when you don’t use it. It’s very easy to clean. It can even be dry cleaned. That should please a lot of users, and it’s great for commercial companies as well, as it encourages repeated use of the bags. That means more opportunities to display the brand name and logo of the company. It’s recyclable. When people stop using the bag, it doesn’t mean that it poses a risk to the environment. Plastic products don’t break down very easily, and it can pose a risk to other species especially in the sea. Plastic bags are not good for the environment, and people can’t have a lot of use out of them either. With polyester bags, on the other hand, everyone benefits—the environment, the people who use them, and the companies looking to promote their brand. Happy more eco-friendly branding from QW Direct!